In Europe, and particularly in East-Central Europe, Herbert C. Hoover was one of the best-known American politicians after World War I. 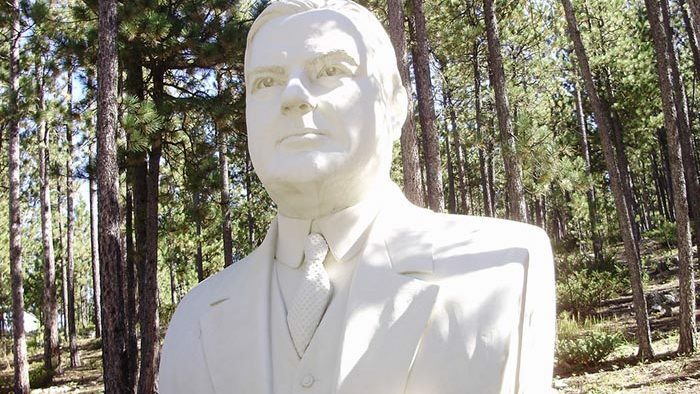 The son of an Quaker blacksmith, Hoover was educated at the newly established Stanford University and became a successful engineer and expert in mining and a wealthy businessman. He was a man of immense success, an incarnation of the American Dream – an incredible life and career ‘from rags to riches.’ As the Director of the American Relief Administration (ARA) and assistant to President Woodrow Wilson, he played an important role during and after the Paris Peace Conference. His successes and great popularity as a public servant pushed him directly towards a rapid and enduring political career. He became the Secretary of Commerce in the Republican administrations of Warren G. Harding (1921–23) and Calvin Coolidge (1923–29). The years of American prosperity in the 1920s, when he had been a successful Cabinet member elevated him to the White House after the victory in the presidential election in 1928. After such a remarkable career and electoral victory, he entered the presidency as an eminent personality of American life and one of the best-educated American presidents, familiar with economic, financial and political problems and knowledgeable of world affairs. It is paradox and irony indeed that such a great and amazingly swift career was challenged during his presidency and that Hoover’s image rapidly reversed. After the Great Depression, his positive, legendary image immediately crumbled and soon disappeared. Instead, a new one emerged – a leader unsuccessful in dealing with economic disaster, heavily criticized, unpopular and then defeated by a rival, Franklin D. Roosevelt. In practice, Hoover functioned as two different and opposite myths – the earlier one: the legendary hero, cherished and acclaimed (the so-called ‘white myth’) and, later on, as an unsuccessful, do-nothing ‘Depression president’ (the ‘black myth’). The latter image was fostered in the years to come by his successor and opponents – mostly Democrats, and millions of disappointed countrymen. Over decades, Herbert Hoover was also generally criticized by most historians for his domestic policy in particular. His foreign policy was not of a special interest to scholars. Certainly, in his biographies and books on the presidency, there are parts dealing with his foreign policy. Some of his diplomatic achievements, such as the good neighbour policy, non-recognition doctrine during the Manchurian crisis and pacifism received more attention and some recognition as well. Moreover, there are a few interesting and useful historical books that illustrate and explain – to a certain extent – Hoover’s approach towards Poland. Nonetheless, in the whole writing on Hoover’s presidency in English, it is difficult to find more substantial and deeper insight into his policy towards Poland. The purpose of this chapter is to provide an outlook on Herbert C. Hoover’s policy towards Poland during his presidency. This study is based on my own, extensive research on President Hoover and his activities. My intention is to demonstrate the US approach towards Poland and Polish matters during Hoover’s presidency in the context of East Central European policy. The chapter hopefully casts some new light on the matter – especially as the chapter is based on important, yet rarely used Polish and American archival sources, newspapers and the most useful literature on the subject. It is impossible to present Hoover’s policy towards Poland during his presidency without a brief comment on his previous years of public activities as the director of the American Relief Administration (ARA) and Secretary of Commerce in the 1920s. His name was better known in Europe and associated with his humanitarian activities during and after the World War I.
Mr. Hoover at once went abroad with two points of view in mind. One was to find a market for the American producer and the other was to see that Bolshevism did not spread through Europe because of starvation (…). The activities of ARA and the American uniform became the symbol of reconstruction in Europe (…). In broad lines as we can say that our country under Mr. Hoover’s guidance came to the rescue of the disorganized and tarnished peoples who had been crushed by Germany in the war and brought to them not only food, but hope. Sending aid and technical advisers, Hoover played quite an active role in shaping up certain American decisions on several Polish issues. His friendly activities in the newly reborn Poland, his close contact to Ignacy Jan Paderewski, then Prime Minister of Poland, and the involvement of Americans in the reconstruction of the economic and political life of the country are worth noticing. In mid-August 1919, during his summer journey in Central Europe, Hoover visited Poland. It was a semi-official visit to recognize the condition of the country and identify its needs (‘instead’ of President Woodrow Wilson, as it was portrayed in media). In Poland, Hoover stayed between 12 and 19 August 1919, visiting Warsaw, Lvov and Cracow and talking to Polish officials. Hugh S. Gibson, the first US minister in Poland and close, lifelong friend of Hoover, attended many of the meetings focusing mostly on Polish economic needs and getting more American aid, mostly distributed by the ARA. Hoover talked to the Poles about programs for the economic and financial reconstruction of the country and the prospects of future assistance from the United States. As marks of respect and gratefulness, in Warsaw there was Hoover Square in Krakowskie Przedmieście Street; and on 29 October 1922, the Monument of the Gratitude for America, the work of a famed sculptor, Xavery Dunikowski, was unveiled. The Polish dignitaries and diplomatic corps were joined by the crowd of thousands of schoolchildren and all those who gathered to demonstrate their gratitude to Hoover. The popularization of Hoover’s food missions was facilitated by the economic and political weakness of Poland, as well as the fascination with the overseas republic and everything American. It was manifested by letters of congratulations and gratitude to him and his collaborators from the ARA, honorary titles, medals, etc. The humanitarian aid to millions of children, mothers, orphans, and the sick established the closest, most positive and emotional link between the US and Poland. Hoover, along with President Woodrow Wilson, became a popular American hero, recognized and cherished in Poland. He was awarded honorary degrees at three Polish universities and citizenship in several Polish cities and the Polish Republic. Undoubtedly, a large group of Poles held a certain dose of friendliness and appreciation to him, and America in general, for the humanitarian aid. However, it seems that sometimes the extensive popularization of the benevolent activities of the ARA and Hoover himself were motivated by tactical reasons and hopes of gaining American help in solving Polish complications. The sometimes naïve, subservient or obsequious tone of certain writings proves the low level of professional journalism of the time. In 1926, several initiatives to celebrate the 150th anniversary of US independence were undertaken in Poland. A special book dedicated to the United States was published. The extraordinary gift of 111 volumes of a beautifully ornamented album with a declaration of admiration to America signed by approximately 5,500,000 Polish citizens was presented to President Calvin Coolidge on 14 October 1926 at the White House as a token of gratitude. Hoover, as the Director of the ARA and member of the government, was the one to whom the thankfulness of the Poles was addressed personally. As the head of the Department of Commerce, Hoover efficiently promoted not only American products and commercial expansion, but also its values and the superiority of its political and economic system. In the 1920s, he practically implemented his major foreign policy ideas and became extremely effective and influential in policy-making (‘economic wizard’). Obviously, the success of US food, money and technical know-how, as well as Hollywood cinema which was very popular in Europe, propagated the rich and prosperous country and cultivated American prestige, especially in East Central Europe. In the early 1920s, the agents of the Department of Commerce were successfully selling a large amount of American products abroad. Certainly, numerous people in Poland, as well as in East Central Europe, were fascinated by the United States’s economic, political, ideological and industrial power. Exhausted by the war, disillusioned with their own societies, Europeans considered whether they should adopt the efficient ways of the prosperous Americans (e.g. the Ford system). Not only were American products needed in Poland, they were also greatly expected and desired; the trademark ‘made in America’ became a synonym of high quality products, a benchmark. The development of Polish-American relations in the early 1920s raised hopes and expectations for more intensive and closer trade and financial relations with the ‘republic over the ocean.’ Yet, quite soon, Poland as well as the countries which expected closer political cooperation and/or disinterested assistance of the United States had to modify their expectations. Hoover, as a member of the government, became deeply involved in the expansion of US trade and finances abroad. Poland, with its limited possibilities and potential, could not be a partner and was not of special but rather of minor interest for American traders, industrialists and, generally, the whole world of business. Moreover, American sympathy and support for Poland at the end of World War I indicated certain decline. For the Americans, Poles appeared as politically immature, difficult to comprehend and confrontational. In legitimate and factual reports of 1922, Hipolit Gliwic, the Polish Commercial Attaché in Washington, skilfully analysed and presented the US role in international affairs and the Polish place in it. He emphasized that, for the US, Poland was neither an essential element, nor an obstacle in foreign policy. Poland ‘represents no special interest’ to America, and one ‘cannot even hope to gain America directly for our policy.’ At the same time, as he reasoned, America – as a world power and a financial centre – was vital to the Poles, and they ought to adjust and arrange ways of influencing American policy makers. It should be based, as he continued, on concrete conditions and realities, not illusions or sentiments. This opinion did not lose its power in years to come and easily applies to the Polish-US bilateral relationship during Hoover’s administration. Regrettably, now and again it seemed as if Polish officials forgot about Gliwic’s diagnosis. In the early 1920s, Hoover was remembered mostly as the organizer of the ARA, a ‘Wilsonian’ (although, as a matter of fact, conflicts happened as with his activities in the Republican administration) and ‘a true friend of Poles and Poland.’ The occasional information in the magazines and newspapers, books and pamphlets on the ARA or the Quaker literature assured Polish readers of his friendly involvement in Polish matters. Not surprisingly then, Polish-Americans, traditionally pro-democratic, were divided in their sympathies between him and the Catholic and Democratic presidential candidate, Alfred Smith. Eventually, Polish-American voters supported him by a significant proportion in the presidential campaign of 1928, and the president-elect could genuinely be happy with the support he received. Jan Ciechanowski, the Minister in Washington, reported that he used the opportunity to remind some of his American colleagues that Polish Americans contributed to his presidential victory. Optimistically and naïvely, the Minister wanted a more cordial approach to Hoover and his administration and the bilateral relationship between Poland and the US. Your name is second only to that of President Wilson in the minds of the Polish people. Their feeling for President Wilson is abstract; for you it is personal because of the tremendous services you rendered in supplying the population with food and other necessary articles immediately after the armistice. By and large, Hoover’s victory was favourably received in the Polish press. Once more, he was portrayed as a ‘humanitarian’ and ‘internationalist,’ who played an active and important role in the reconstruction of post-war Europe and Poland. There was a general expectation that, as a president, he would not neglect Europe and its matters. There were hopes (or perhaps wishful thinking) about the possibility of a more active US in cooperation with the League of Nations and the World Court. Interestingly enough, his years as a Secretary of Commerce, US expansion and more nationalistic tendencies under his guidance occurred, supposedly due to tactical reasons. On 24 July 1929, Hoover proclaimed the Treaty for the Renunciation of War (Kellogg-Briand Pact). It was a grand ceremony, with the participation of former President Calvin Coolidge, Secretary Frank B. Kellogg and some former and present Cabinet members. As the Polish chargé d’affaires in Washington, Stanisław Łepkowski reported, according to the intention of the organizers, that the event was supposed to be a great or even epochal moment. It raised new expectations for more active US involvement and international cooperation in preserving world peace. Following World War I, Hoover became a critical supporter of the League of Nations and US participation in the World Court, hence demonstrating a kind of cooperation in keeping the world at peace. Some Americans supported the World Court, yet a large portion of public opinion perceived membership in it as the first step to membership in the League of Nations, which the isolationists were strongly against. Hoover’s policy was termed by Joan Hoff Wilson as ‘independent internationalism’ in a sense that the US should collaborate in world affairs when it could not solve a certain problem through unilateral actions. Hoover took a nationalist position by favouring high protective duties, particularly on farm products (Hawley-Smoot Act, 17 June 1930) and restriction in the immigration policy. During the Depression years, Polish war debts turned out to be an increasing worry in the bilateral relations. Hoover’s moratorium of 1931 as a bulwark against worldwide economic crisis neither worked well nor satisfied most Europeans, Poles included. In December 1931, Hoover proposed to the Congress a temporary readjustment of the debt to the countries devastated by the Depression, but Congress refused any concessions. The correspondences between Polish and American officials prove that Poles tried to receive a reprieve of interest that was due December 1932. The Polish decisions on the war debt payment were dependent largely upon the action of France and the countries that followed the French and British approach. The ultimate effect was a practical rejection of the war debts by the debtors (with the exception of Finland) and the consequent American loss of any payments. The Poles had made various efforts to retrieve some wartime pro-Polish sentiments during Hoover’s presidency. To begin, the president himself was considered and called ‘a true, good friend.’ At the beginning of his term, Polish-American relations seemed cordial and close and – symbolically – were strengthened by a few acts of the Hoover’s administration. On 10 April 1929, Tytus Filipowicz, during the presentation of his credentials to President Hoover as Poland’s new Minister in Washington, expressed the hope of his government and nation to build more cordial relations and finalise talks on the Treaty of Friendship, Commerce and Consular Rights. The United States and Poland have always been good friends and they are so today (…). The work of the Hoover relief committee during and after the war has cemented a bond of friendship which it will be impossible to break. Many individual Americans are still helping my country, and we certainly feel very grateful to America for the helping hand which she has extended to us in our hour of need. In 1929, on the occasion of the 150th anniversary of the death of Kazimierz Pulaski and in recognition of his fight for the independence of the American republic, the Congress established 11 October as a national holiday (the Pulaski Day) to commemorate the Polish-American hero. On 9 October 1929, Poland’s President Ignacy Mościcki (1926–39) sent a message to President Hoover expressing a ‘deep appreciation and gratitude for the manner in which the name of this Polish and American hero is being honoured by the United States.’ Minister Filipowicz, as a Special Ambassador at the coming observance, joined the Polish delegation for the White House ceremony. President Hoover, in his message to President Mościcki, acknowledged: ‘The memory of this young Polish nobleman (…) will always be cherished in the hearts of American citizens and their heartfelt appreciation of his signal service in acquiring American independence will never die.’ He also reiterated his ‘country’s gratitude and friendship for Poland. Professor Roman Dyboski of the English Department of the Jagiellonian University, a former scholar of the Kościuszko Foundation and a member of the Polish delegation, delivered – on the occasion of Pulaski’s anniversary – a dozen speeches mostly addressed to the American audience. He talked about Polish culture, history and achievements focusing on the post-war years and building the independent country. His important and useful role in the popularisation of Poland and strengthening its prestige was highly recognised by Polish Americans and acknowledged by Polish officials as well. At the same time, on 30 October 1929, there was an impressive ceremony honouring Madame Marie Curie by the National Academy of Sciences. President Hoover spoke about her achievements and presented her the gift from the women of America – a bank draft for $50,000 for the purchase of one gram of radium for the research institute named after her in Warsaw. Satisfied and affected, Marie Curie assured him and the audience that ‘in my native land, your name is revered for having saved, by your humanitarian work, a large part of the young generation. Your kind work of today will add to the gratitude of the Polish people toward you.’ The gesture and honours presented to Marie Curie were received enthusiastically by the Polish American community who revered Marie Curie for her Polish roots and her maiden name – Skłodowska. Filipowicz, getting the support of Polish-American leaders, galvanized by the recent events and proud of the heritage, took an opportunity to popularize the idea of elevation of the rank of the diplomatic missions. The Poles considered the step an important and prestigious act, all the more so because the US conducted diplomatic relations at the ambassadorial level with only six European countries (Belgium, France, Germany, Great Britain, Italy and Spain). After the fall of 1929, Filipowicz explored the chances for the approval of such a concept and talked with some influential politicians, e.g. George H. Moses (Chairman of the Senate), Hamilton Fish (Congressman from New York) and Stephen Porter (Chairman of the Committee of Foreign Affairs at the House of the Representatives). It is worth emphasising that, at the beginning, Secretary Henry L. Stimson – who was not sympathetic towards Polish matters and disliked Filipowicz – was not involved in those discussions. The Republic of Poland stands fifth among the European nations in the population, and there is no nation in Europe which has a more friendly and cordial feeling toward the United States than Poland, for the aid given the American delegates at the peace conference toward the establishment of the present Republic of Poland. In addition, there are in the country, several millions of American citizens of the Polish origin who have done much to promote the development and progress of our own country. (…). It is only fair and right that we should recognize the freedom and independence of the Polish people by exchanging ambassadors with the present well-established and powerful Republic of Poland. Finally, in 1930, the legations in Warsaw and Washington were elevated to the rank of embassies. On 4 March 1930, Tytus Filipowicz, during the presentation of his credentials as the first Polish ambassador to US, emphasized that it was ‘a new step tended to strengthen the friendship, increase the volume of trade and add to the feeling of security in East Central Europe.’ President Hoover shared sentiments and expectations of the most cordial relations between the nations and countries. Two months later, on Polish National Day (3 May 1930), he sent the earnest wishes of friendship and good understanding. Another event, although not special but rather symbolic, was the Convention for the Prevention of Smuggling of Intoxicating Liquor signed on 19 June 1930 in Washington by Stimson and Filipowicz. A year later, after years of occasional talks and negotiation, the Treaty of Friendship, Commerce and Consular Rights was signed on 15 June 1931 by Secretary Stimson and Ambassador Filipowicz in Washington. The Polish media occasionally commented that it was a small achievement in bilateral relations. It is, therefore, peculiarly touching to us that a ceremony such as this should take place in Poland, on the anniversary which stands first in our calendar. In the name of the people of the United States, as in my own, I wish to give voice to our profound appreciation of so notable a mark of remembrance, sympathy, and friendliness. A special guest, Edith Wilson, the widow of the late president, was received at the Castle by President Ignacy Mościcki and amiably honoured by Poles. During the ceremony, attended by Polish officials and the diplomatic corps; the President of Poznań, Cyryl Ratajski, delivered a speech in recognition of Wilson’s role in the rebirth of Poland and America’s support for the newly restored country. Hoover’s name, as one of the friendly Americans, was repeated several times during the ceremony, talks and meetings. Mrs. Wilson was touched and pleasantly surprised by the words of love and gratitude toward her husband and deep appreciation of America for its role and friendship. On 4 July 1932, in Warsaw, the statue of Col. Edward M. House, a close aide of Wilson and a ‘true and devoted friend and supporter’ of Poland and its independence, was erected. Such events and gestures, as their initiators and organizers intended, showed not only the gratitude of the Poles but also hope that bilateral relations with the United States would be strengthened. Obviously, Polish-American relations, apart from the above-mentioned acts and sympathetic gestures, were largely one-sided as Poland was of marginal importance to the United States. The bulk of trade exchange, apart from expectations and attempts to involve Polish-Americans in the promotion and stimulation, was quite small in the inter-war period – especially during the Depression. In 1931, Poland was not present on the list of 58 US exporters, and – as an importer – it was shown almost at the bottom of the list (49th place). According to Polish statistical data, export to the US (in terms of amount and percentage) was insignificant and symbolic. The trade balance was unfavourable for Poland since it imported 14 times more products from the US. The import was dominated by cotton, food (including canned food), furs, a small contingent of cars and some machinery. In some years, the Polish cotton industry was predominantly (80–90%) based on American cotton. During the Depression, Hoover had much less time for European or, specifically, Polish matters, which were treated as an element of the American political game, mostly in connection with Germany and the stabilization of Central Europe. The rising American media criticism of the Polish-German border issue and the repetitive remarks on the ‘Corridor’ ‘unjustly’ taken from Germany in prestigious newspaper dailies, brought about considerable anxiety for Polish officials. But the main problem, which preoccupied Poles and particularly Polish officials, was the growing tendency for the revision of Polish-German border. Soon after Gustav Stresemann’s death, German revisionism became more aggressive and noticeable – also abroad, even in the United States. Revisionism became truly perilous for the Poles, as in the economic crisis circumstances, the Americans reasoned that it could not be overcome until the European disorder was pacified. As many US diplomatic reports from the European capitals suggested, peaceful revision, e.g. return of the ‘Corridor’ to Germany would ease growing tensions and thus stabilize the political-economic situation of East Central Europe. It was not only that Hearst’s press informed about the ‘great injustice’ that was the existence of the ‘Corridor’ but also the New York Times occasionally published similar comments on the above topic. In the American administration there were several prominent persons interested in some settlement of the Polish-German border conflict. First of all, Henry L. Stimson, the Secretary of State, was sympathetic towards the German revisionist policy and the idea of a peaceful revision. His papers, namely Diaries, Speeches, Writings and Statements, prove – without doubt – that he seriously considered a revision of the Versailles Treaty and, above all, the Polish-German border. To naturalise the speculations and comments that he favoured Germany over Poland, the Secretary of State occasionally repeated that the Polish-German frontiers were a purely European problem. Yet his approach towards a possible solution, which he presented in his announcements, memoranda and talks, was clear. Another pro-German official was William R. Castle, influential chief of the Western European Division at the Department of State, who was close to Hoover and, after the death of Joseph P. Cotton in mid-March 1931, Undersecretary of State. Both of them were closely associated with several journalists, some of German origin, who openly and successfully lobbied for the Weimar Republic’s causes. Certainly, the German ambassadors in Washington, particularly Wilhelm von Prittwitz und Gaffron, played an active and consequential role in establishing more cordial US-German relations. Through diplomatic channels, meetings and official talks, the above-mentioned people impacted bilateral German-American relations. Their close connections with the German-American community were also utilised for the improvement of American-German relations and a better image of Germany ‘unjustly punished’ after the Great War. American ambassadors in Berlin (Alanson B. Houghton, Frederick M. Sackett) were quite sensitive and sympathetic towards Germany and its problems. Such a situation worried the Polish officials and diplomats in Washington who were unable to change the general approach and viewpoint of American decision makers on the situation of Germany and especially on its Eastern border. The Poles were ineffective in attracting any American support for the European status quo. It should be remembered that the US did not ratify the Versailles Treaty and thus did not oblige itself to defend the treaty or see the status quo as essential or necessary for the stabilization and security of Europe at that time. Rather opposite, Stimson repeatedly pronounced, during and after his summer visit in July and August 1931 in Europe, that the peaceful solution of the Polish ‘Corridor’ was essential for the political and economic stabilization of Central Europe. I then repeated my attitude towards the peace suggestion, applying it to the revision of the Versailles Treaty and telling him that we expressed no opinion as to the questions of revision which were being urged by Germany but only that we were deeply interested in having any such revision if it was made by peaceful methods and not by war (…). Recent articles in the Baltimore Sun, the Washington Star and the New York Times, have particularly wounded Polish sensibilities. (…) The belief obtained in Poland that the United States is so concerned over the security of its financial commitment in Germany that American influence is being aligned on the side of the Reich as against Poland. Press dispatches from America reporting that conferences had taken place between the President, Secretary Stimson and the late Senator Morrow, in which the ‘Corridor’ was discussed, were looked upon in Warsaw as conformation of these forebodings. The press comments and supposed support for the revision of the Polish borders caused a great disappointment and anxiety in Poland and among Polish-Americans. The annoyed Poles reacted to such unfriendly comments, all the more so as it was during the stay of Marshal Philippe Pétain in America and on the eve of the French Prime Minister Pierre Laval’s visit to the US. On 21 October 1931, Ambassador Filipowicz sent a protesting note to the US government. Pierre Laval came on an official visit to the US between 22–25 October 1931 to discuss the world economic situation. During several meetings and talks with hosts, mostly with Hoover, Stimson and some other officials, particularly on 23–25 October, the situation of Central Europe and the countries of the region were discussed. For dinner, Stimson invited several politicians and senators, including William E. Borah, the influential chairman of the Foreign Relations Committee. It does not look incidental and seems out of the question that during these meetings and discussions, the ‘Corridor’ issue was taken up. On 24 October 1931, Senator Borah, in his interview, publicly declared at a press conference the need for changes of the European borders. He stated there would be no disarmament in Europe as long as such problems as the ‘Corridor’ existed. He said: ‘Then I would change the Polish Corridor if it was possible to do so; and I would change the situation with reference to Upper Silesia if I could.’ In spite of his qualifications, efficiency and political experience, he made a drastic and undiplomatic statement which caused quite a sensation and rapid response in both the American and Polish press. The press announcement of Sen. Borah shocked Poles, who did not believe it was only his private opinion. All the more so as he met both Hoover and Stimson and also Laval and potentially talked about it. Exactly how much Sen. Borah’s opinion was also Hoover’s was not yet fully established or sorted out. Still, there is evidence indicating that several of the president’s close co-operators had already declared and supported in some way the idea of revisionism. It is unlikely that President Hoover’s opinions, at least private, were diametrically different. It is doubtful that he was surprised or discouraged by Borah’s opinion since those matters were discussed quite often in government circles. Officially though, the president and his administration did not share the senator’s views presented in the interview for The New York Times. On 25 October 1931, the White House officially and publicly commented: ‘A press statement that the president has proposed any revision of the Polish Corridor is absolutely without foundation. The president has made no suggestions of any such character.’ The public dementi did not, and could not, dissolve the true fears, distress, anxiety and disappointment of Polish officials and public opinion. The time is probably not ripe, therefore, for a solution of the question, but it may not be too early to go to the Poles and ask them to begin considering whether the unmodified Corridor is not an unmistakable example of one of these ‘international conditions,’ referred to in the Article XIX of the Covenant of the League of Nations, whose continuance might endanger the peace of the world. To say that to Poland would be not an infringement of the dignity. Interestingly enough, the sensational episode with Sen. Borah’s statement is almost unnoticed or it is at least only occasionally remarked in a few of words in the historical writings on Hoover. Public opinion in Poland, as seen in the comments of diverse newspapers, was outraged by such unfriendly remarks from somebody influential and close to the administration and President Hoover himself. Also, Polish-Americans were shocked and organised several meetings in protest, and undertook an extensive press campaign to defend the permanence of the Polish borders and European status quo. In months to come, also during the November visit of Dino Grandi, Italian Minister of Foreign Affairs (1929–32), the Polish government took energetic steps to stop the ‘Corridor’ discussions, particularly in the United States. We will not accept so monstrous an injury, no matter by whom inflicted. The territory restored to us is justly ours and we will stand by it. We are peaceful and peace-loving people. We need peace more than any other country in the whole world. (…). Do not believe those fortune tellers, who predict a return to prosperity provided the corridor be given back to Prussia. That is a tale for children. A new partition of Poland would be an evil deed. The demand, therefore, of some German propagandist for territorial changes in this Polish province in favour of Germany is to commit one of the gravest of injustices that could be perpetrated in an age of self-determination of nations. The whole Polish nation, numbering 32,000,000, is unanimous on this point and will make any sacrifice to keep it within the present Polish frontiers as established by the Treaty of Versailles. No Polish statesman conscious of his responsibility would dare to suggest any territorial alterations in the present state of affairs. The ‘Corridor’ propaganda and issue raised so loudly and soundly in America during Hoover’s presidency became a sore problem for Poland in the bilateral relations with the US. The extensive and successful revisionist, mostly German, propaganda found quite sympathetic conditions on American ground. It worried Poles, as reflected in diplomatic correspondences, and soured and shadowed Polish-American relations in those years. Certainly, the Depression did affect the foreign policy of the US during Hoover’s administration. Experienced and personally interested and well-informed in the international situation, President Hoover was challenged and tested on many fields. Over the decades, his foreign policy was generally explained as a ‘combination of the influence of Quaker pacifism, the rising time of depression, and the overriding strength of Secretary of State Henry L. Stimson.’ To some extent, it is true; nonetheless, these generalities missed the mark widely as he was well-equipped to direct US foreign policy and became quite active in policy-making, regardless of the strong influence of Secretary Stimson. The Great Depression modified US policy, including the relationship with Europe in general and with Poland in particular. First of all, it caused American retreat from economic and financial expansion. The US demonstrated no interest in European political problems and controversies and declared official désinteressément in solving the developing tensions in the ‘Old World.’ On the other hand, after the spring of 1931, America intensified consultations with European politicians in order to reconstruct world finances and the economic system. Then came Hoover’s moratorium and Stimson’s visit to Europe in 1931. I share the opinion of those scholars who emphasise that the European policy of the US neither favoured nor opposed Polish interests; rather, it did not perceive them or even ignored them. America paid some attention to Polish issues only in connection to and in the context of the stabilisation of East Central Europe in general. The statements on the need and/or possibility of a peaceful revision of the Polish-German borders, which gained more and more advocates and supporters in the United States, became a real peril for isolated Poland in defending its position and the status quo. In the short run, the strong Polish response and protest turned out quite effective. With paradoxical irony, however, the advent of a more vigorous American foreign policy under the stewardship of a figure renowned for his humanitarian service to Poland coincided with the growth of Polish misgivings concerning the effects of US diplomatic efforts in Europe. Eighteen years before this visit to Warsaw, the democratic Polish regime under Ignace Paderewski had been overthrown by the dictator-minded Chief of State, Jozef Pilsudski, and a half-Fascist regime had been installed. He was succeeded by a group of his supporters (the ‘Colonels’) who were in effective control of Poland at the time of my visit. Despite the authoritarian trend of the regime, the Poles in 1938 had more freedom than the Germans. There were no concentration camps or liquidations, and there appeared to be a fairly free press. The most cheerful aspect of Poland was the astonishing cultural and economic expansion under the sunlight of independence given her at Versailles. On the other hand, the entire political structure of the country at this time seemed to me very weak. Hoover was bitterly disappointed by world affairs and European tensions; he became an ardent isolationist. However, his ‘sentimental journey’ to Europe could not revoke the legend of his humanitarian and benevolent activities. There are just a few books devoted to the subject which had been published a several decades ago: William Starr Myers, The Foreign Policies of Herbert Hoover, 1929-1933. New York: C. Scribner’s Sons, 1940; Robert H. Ferrell, American Diplomacy in the Great Depression. Hoover – Stimson Foreign Policy, 1929–1933. New Haven: Yale University Press, 1957. The most useful are: Edgar Eugene Robinson, and Vaughn David Bornet, Herbert Hoover, President of the United States. Stanford: Hoover Institution Press, 1975; Joan Hoff Wilson, Herbert Hoover, Forgotten Progressive. Boston: Little, Brown, 1975; David Burner, Herbert Hoover, a Public Life, New York: Knopf, 1979; George H. Nash, Life of Herbert Hoover. New York, 1983; Richard Norton Smith, An Uncommon Man: The Triumph of Herbert Hoover. New York: Simon & Schuster, 1984; Glen Jeansonne, The Life of Herbert Hoover: Fighting Quaker, 1928–1933. New York: Palgrave Macmillan, 2012. Alexander DeConde, Herbert Hoover’s Latin-American Policy. Stanford: Stanford University Press, 1951; Earl R. Curry, Hoover’s Dominican Policy and the Origins of the Good Neighbor Policy. New York: Garland Publ. 1979. Let me mention the most useful, such as: Neal Pease, Poland, The United States, and the Stabilization of Europe, 1919-1933. New York – Oxford: Oxford University Press 1986; Piotr S. Wandycz, The United States and Poland. Cambridge: Harvard University Press, 1980; Herbert Hoover and Poland. A Documentary History of a Friendship, compiled and with an introduction by George J. Lerski, Stanford: Hoover Institution Press 1977. For more see, my two books in Polish on the subject – Polska w europejskiej polityce Stanów Zjednoczonych w okresie prezydentury Herberta C. Hoovera (1929–1933). Białystok: Dział Wydawnictw Filii Uniwersytetu Warszawskiego w Białymstoku, 1991 and Zapomniany prezydent. Biografia polityczna Herberta Clarka Hoovera. Białystok: Versus, 1993. There is abundant literature on the ARA and Hoover’s role in it. For more on its activities in Poland see, Alvin B. Barber, European Technical Advisers Mission to Poland, 1919–1922. New York (unknown publisher) 1923; Harold H. Fisher, America and the New Poland. New York: Macmillan, 1928; Hugh S. Gibson and Samuel Vauclain, Poland, Her Problems and Her Future. New York: American Polish Chamber of Commerce and Industry, 1920. ‘Herbert Hoover – A Personal Sketch’ by Ray Lyman Wilbur, 1938 // Herbert Hoover Presidential Library (hereafter, HPL), Herbert Hoover Papers (HHP), Box 261. West Branch, USA. Paderewski was one of the most effective proponents and champions of the closer association and assistance with America what played a visible and vital role especially during his prime-ministership. For more, see Bogusław Winid, W cieniu Kapitolu. Dyplomacja polska wobec Stanów Zjednoczonych Ameryki, 1919–1939. Warszawa: Wydawnictwo PoMOST, 1991. Herbert Hoover, The Memoirs, v. I, Years of Adventure 1874–1920. New York: The Macmillan Company, 1951, 355–62. For more see, Halina Parafianowicz, ‘The Legend of Herbert C. Hoover in Poland in the Period between the Two World Wars’, in: In the European Grain. American Studies From Central and Eastern Europe, ed. by Orm Øverland, 159–68, Amsterdam: VU University Press, 1990. Halina Parafianowicz, Zapomniany prezydent, 59–60. Dzwon Wolności, 1775–1926. W rocznicę narodzin Stanów Zjednoczonych Ameryki. Księga zbiorowa wydana staraniem Komitetu Centralnego Obchodu 150-lecia Niepodległości Stanów Zjednoczonych. Warszawa 1926. ‘10 lat aktywności Towarzystwa Polsko Amerykańskiego’ // Archiwum Akt Nowych (hereafter, AAN), Ambasada RP w Waszyngtonie, 596. Warsaw, Poland. See, William Barber J., From New Era to New Deal: Herbert Hoover, the Economists, and American Economic Policy, 1921–1933. New York: Cambridge University Press,1985; Joseph Brandes, Herbert Hoover and Economic Diplomacy: Department of Commerce Policy, 1921–1928. Pittsburgh: University of Pittsburgh Press, 1962; Ethan Lewis Ellis, Republican Foreign Policy:1921–1933, New Brunswick: Rutgers University Press, 1965; Herbert Hoover as Secretary of Commerce, edited with introduction by Ellis W. Hawley, Iowa City: University of Iowa Press, 1981. For more see, Halina Parafianowicz, ‘American Exceptionalism: The American Dream and the Americanization of East-Central Europe’, in: World and Global History. Reseach and Teaching. A CLIOHWORLD Reader, edited by Seija Jalagin, Susanna Tavera and Andrew Dilley, 107–21, Pisa: CLIOHWORLD 2011. The New York Times in the 1920s provided rather negative image of Poland and its matters. It is worth mentioning that there was no American correspondent in Warsaw, then frequently the information was taken from American correspondents in Berlin and Vienna, which made the interpretations quite critical and hostile to Poland. Hipolit Gliwic, ‘Zasadnicze wytyczne polsko-amerykańskiej polityki’, 19 July 1922 // AAN, Ambasada RP w Waszyngtonie, 228. Warsaw, Poland; Wandycz, The United States, 178. Stanisław Arct, Projekt odbudowy Polski przy pomocy amerykańskiej, Warszawa 1920. In 1921 a special issue of ‘Świat‘ (‘The World’) was published, fully devoted to America and American friends. There was part dedicated to Hoover in recognition of his humanitarian activities with very emotional yet naïve poem ‘Herbert Hoover żywiciel‘. Jan Ciechanowski to the Ministry of Foreign Affairs, 21 November 1928 // Hoover Institution on War, Revolution and Peace (hereafter, HI), Poland. Ambasada (US), Box 7, Stanford, USA. John B. Stetson to Herbert Hoover, November 1928 // Hoover Presidential Library (hereafter, HPL), Pre-Presidential Papers. West Branch, USA. Gazeta Warszawska, 15 November 1928, 3; Ilustrowany Kurier Codzienny, 9 November 1928, 1; Wyzwolenie, 18 November 1928, 12; Robotnik, 10 November 1928, 3. Stanisław Łepkowski to the Ministry of Foreign Affairs, 30 July 1929 // AAN, Ambasada RP w Londynie, 697. Warsaw, Poland. Robinson and Bornet, Herbert Hoover, 106–7. FRUS, 1932. Volume 1, 799–807. Gen. Stanisław Burhardt-Bukacki’s report, June 24 1932 // HI.Poland, Ambasada (US), Box 2. Warsaw, Poland; Głos Narodu, 25 June 1932, 1. Many diplomatic reports from Washington, London and Paris showed the sympathetic approach of Americans towards German demands. The New York Times, 11 April 1929, 21. Since the beginning of May 1929 Kurier Poznański informed daily about the exhibition; Herbert Hoover and Poland, 35. The New York Times, 25 May 1929, 2. Herbert Hoover: Exchange of Messages with the President of Poland on the Pulaski Sesquicentennial Celebration’, 11 October 1929. Online by Gerhard Peters and John T. Woolley, The American Presidency Project http://www.presidency.ucsb.edu, accessed 23 July 2018. Roman Dyboski, Stany Zjednoczone Ameryki Północnej. Wrażenia i refleksje. Warszawa-Lwów 1930, 21. Witold Wańkowicz to Leopold Kotnowski, 2 November 1929 // AAN, Ambasada RP w Waszyngtonie, 822. Warsaw, Poland. Tytus Filipowicz to the Ministry of Foreign Affairs, 19 November 1929//HI, Poland. Ambasada (US), Box 24; Herbert Hoover,’Remarks on the Ceremony Honoring Madame Marie Curie’, 30 October 1929. Online by Gerhard Peters and John T. Woolley, The American Presidency Project, http://www.presidency.ucsb.edu, accessed 23 July 2018. Filipowicz reports to the Ministry of Foreign Affairs, 8 October, 16 October, 18 December 1929 // HI, Poland, Ambasada (US), Box 4, f. 4. Stanford, USA; Parafianowicz, Polska w europejskiej, 69. Gazeta Polska, 13 December 1929, 1. House Reports, 71st Congress, 1st and 2nd Sessions (April 15, 1929–3 July 1930), Report No 197, 1–2. The New York Times, 5 March 1930, 2. FRUS, 1931. Volume 2, 938–55. It needs to be emphasised that the famous sculptor presented Wilson as a ‘peacemaker and Polish friend’ in a symbolic pose and gesture. He stood at the pedestal beneath stone map of Poland with its established borders after the World War I. The powerful idea of the monument was above all the justification and reminder of American presidential support for Polish borders. There was also, according to comments in mass media, true hopes and expectations of Poles distressed by the German revisionism for American support for the status quo. Herbert Hoover, ‘Message on the Unveiling of a Statue of Woodrow Wilson in Poznań, Poland, July 4, 1931. Online by Gerhard Peters and John T. Woolley, The American Presidency Project, http://www.presidency.ucsb.edu, accessed 23 July 2018. Kurier Poznański, 1 July 1931, 1; 2 July 1931, 1; 3 July 1931, 1–2; 4 July 1931, 1. Gazeta Polska, 5 July 1932, 8. The New York Times informed briefly that it was ‘purely a military affair’ (8 August 1932, 21; 11 August 1932, 23). Wandycz, The United States, 215. Parafianowicz, Polska w europejskiej, 78–80. The New York Times, 17 August 1931, 4; 1 September 1931, 20; 8 September 1931, 4; 25 September 1931, 2. Henry L. Stimson Papers, Speeches, Writings, Statements Group, No 465, Series No III, Box 181, Yale University Library (hereafter, YUL). New Haven, USA; Ferrell, American Diplomacy, 201–3. The diplomatic correspondence showed a great anxiety among Poles who were deeply worried about such a perspective of strong and constant propaganda focused on the revision mainly of Polish border. FRUS, 1931. Volume 1, 525. FRUS, 1931. Volume 1, 597–8. The immediate and categorical reaction of Polish government sometimes was interpreted and attributed to the idea so-called the preventive war. The New York Times, 24 October, 1931; Wandycz, The United States, 213. Walter Lippman, Interpretations, 1931–1932. Selected and edited by Allan Nevins. New York: The Macmillan Company, 1932, 228; Wandycz, The United States, 213. Fausold, The Presidency, 189 (‘some excitement ensued during visit’); Meyers, The Foreign Policies, 183 (‘undiplomatic speech’ of Borah). Gazeta Polska, 30 October 1931, 1; Ilustrowany Kurier Codzienny, 26 October 1931, 12; Głos Narodu, 25 October 1931, 7; Gazeta Warszawska, 25 October 1931, 3, Robotnik, 25 October 1931, 1; Zielony Sztandar, 1 November 1931, 3. Herbert Hoover and Poland, 38–39; Parafianowicz, Polska w europejskiej, 140. Jan Ciechanowski reports from the autumn of 1931 // AAN, Ambasada RP w Waszyngtonie, 242. Warsaw, Poland. ‘The Polish Corridor: Revison or Peace? Foreign Affairs, 10/4 (October 1931–July 1932):558–72. The New York Times, 19 May 1932. Paderewski speech was later published – Ignace Jan Paderewski, ‘Poland’s so-called Corridor,’ Foreign Affairs, 11/3 (October–July 1933): 420–34. The New York Times, 29 January 1933, 5. Martin L. Fausold, The Presidency of Herbert C. Hoover. Lawrence: University Press of Kansas, 1985, 167. Pease, Poland, the United States, 166; Winid, W cieniu, 175. Pease, Poland, the United States, 130. George H. Nash (ed. ), Freedom Betrayed. Herbert Hoover’s Secret History of the Second World War and Its Aftermath. Stanford: Hoover Institution Press 2011, 74. Halina Parafianowicz is a Professor at the Institute of History and Political Science of the Białystok University, Poland.